Kitsap Pride has announced that Frenchie Davis will headline their main stage! 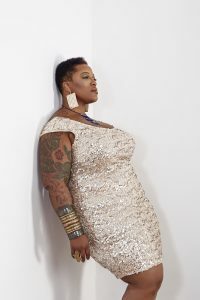 A Grammy nominated artist, Frenchie Davis became a household name as a finalist on “The Voice” and “American Idol.” She is also known for her work in on- and off-Broadway productions of Rent, Dreamgirls, and Ain’t Misbehavin’, among others. 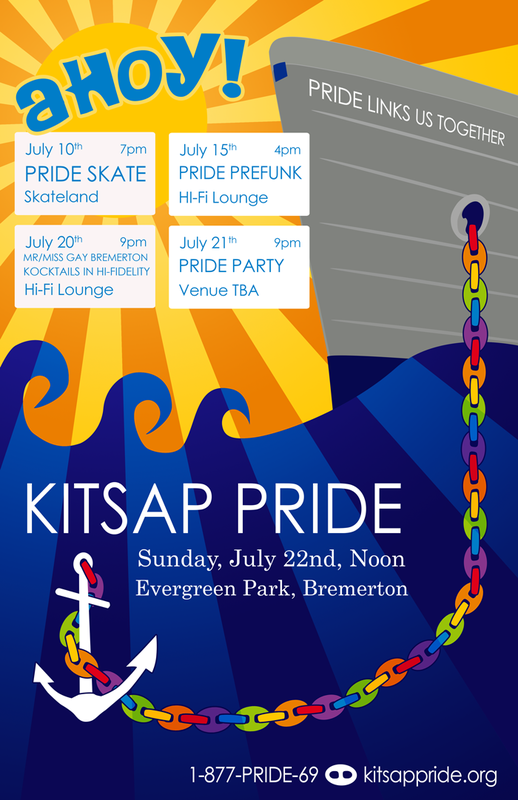 Now in its 21st year, Kitsap Pride is scheduled for Saturday, July 15 in Bremerton’s Evergreen Park. In addition to Davis, Kitsap Pride’s main stage will feature Purple Passion, a swing ensemble affiliated with the Rainbow City Marching Band; “Goddess of Electronic Psychedelic Soul” SassyBlack; and Guayaba, a Bremerton native and one of Seattle’s top queer artists. 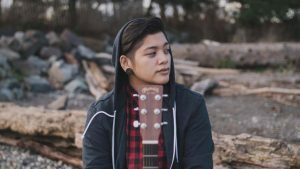 For the first time, Kitsap Pride will host a second, community stage featuring performers predominantly from Kitsap County, including Queerly Beloved and their brand of gender-variety entertainment. Also coming to this year’s Kitsap Pride: a new layout for the festival in Evergreen Park, which will include a beer garden in the closed street in view of the main stage. On July 8 & 9, Kitsap Pride is also bringing TWIST Tops: Best Films from the Seattle Queer Festival to Bainbridge Cinemas on Bainbridge Island. Play the Devil, a simmering, unconventional thriller set in the lush hills of Trinidad. Real Boy, an acclaimed documentary about transgender teen and aspiring musician, Bennett Wallace. Suicide Kale, a mostly improvised comedy starring Brittani Nichols (Transparent) and Jasika Nicole (TV’s Fringe, Scandal). Check It, a documentary about a group of transgender and gay survivors who find their way out of poverty in the world of fashion. Best Shorts Festival, featuring the greatest audience and jury award-winning short films, including Folsom Street, These C*cksucking Tears, and Vamanos, among others. Visit http://kitsappride.org/twist-tops-film-festival/ for more information and ticketing info, including a special package featuring Sunday morning Mimosas Before the Movies! Sponsors of Kitsap Pride 2017 include the Port Gamble S’Klallam Tribe, Suquamish Tribe, Kaiser Permanente, Kitsap Safe Schools, Destination 420, and Starbucks. Kitsap Pride unites, celebrates, and supports the LGBTQ+ community in Kitsap County. We have a great line up for you this year as we celebrate our 20th event. We encourage people to bring blankets or chairs. We discourage bottled water but have water for you to refill a bottle you bring. 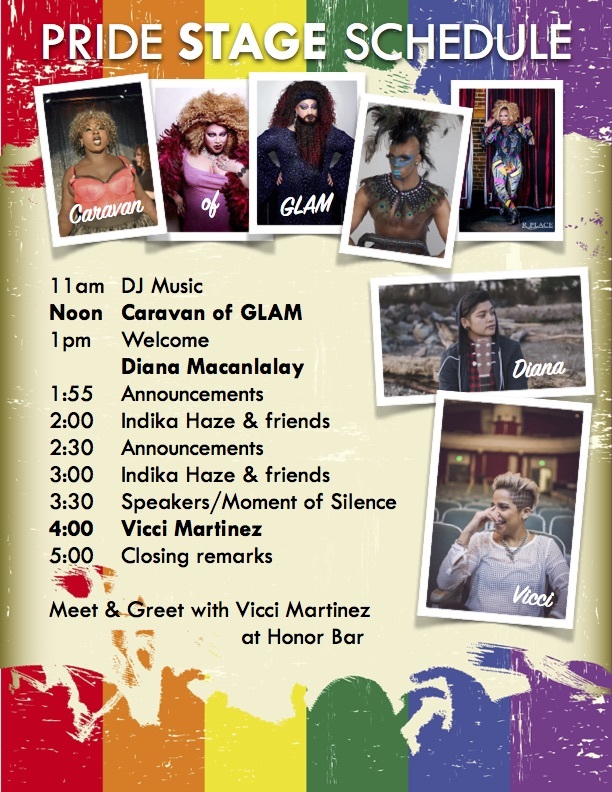 We have food vendors including the nearby Honor Bar which also sells adult beverages and will host a meet and greet with our headliner, Vicci Martinez, after the show. Up next it Kitsap County’s own Diana Macanlalay a local acoustic singer/songwriter from Kitsap County. Currently residing in Seattle, Diana grew up in the good old, ever growing town of Silverdale, Washington. Diana has performed at local venues such as the Manette and Slippery Pig Brewery, opening up for artists like CHYEA CHYEA and Zebra Mirrors. Diana’s knack for bringing people together always guarantees a good night filled with great music and wonderful people. Her smooth and sultry voice has caught the attention of crowds throughout her hometown while her relaxing renditions of 90s R&B will surely get you feeling nostalgic. A few of her musical inspirations include Melissa Polinar, Tori Kelly, Lauren Hill, and Corinne Bailey Rae. We have two sets of local drag performers hosted by Bremerton’s own Indika Haze. She is joined by Deyla Dalyte, Ladi Vixxen, Cannoli, Hellen Tragedy, the Larger than Life Roxy Renee Ross, Mulan Rouge, Diamond Tyde and Ace of Spades & Queen of Spades. We are Proud that our headliner for the Kitsap Pride stage is Vicci Martinez. The 31-year-old singer and songwriter from Tacoma lept into the national spotlight when she finished third in NBC’s singing competition “The Voice” in 2011. Martinez has been touring the United States and Europe the past five years. She has performed with artists including Sting, Annie Lennox, B.B. King, The Doobie Brothers, Jonny Lang, Michael Franti, Train, Colbie Caillat and Ed Sheeran. Her music is raw, personal, and powerful. She has returned to releasing music independently with a new found energy and urgency, a new ferocity. 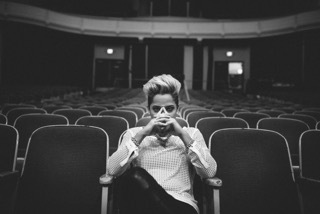 On May 1, 2015, she released I Am Vicci Martinez, Its lead single, “Bad News Breaker,” made its debut to nine million viewers on an episode of The Voice. She is currently writing and producing independently on her new record for a release in fall/winter 2016. We are Proud to announce that our headliner for the Kitsap Pride stage on Saturday, July 16th at Evergreen Park is Vicci Martinez. Schedule: 20 Events for 20 Years! To commemorate the 20th celebration of Pride in Kitsap County, we present “20 Events for 20 Years”—20 events throughout Kitsap County for the LGBT community and its allies. Some of these events are hosted by the Kitsap Pride Network; others are sponsored by our partner community organizations who do the good work of supporting our community throughout the year. We invite you to attend as many of these events as you can. Click on the title of each event for more information. Showing up to be supportive and connect with others is one of the best ways you can practice this year’s theme of “Solidarity through Pride”! Click on the program at right to download our PDF brochure! This all-ages event hopes to recreate the fun and festivities of Kitsap County’s earliest Pride celebrations. Lunch and soft drinks provided. BYOB. Admission is by donation. $5 minimum is suggested. Money raised supports Kitsap Pride Network and Q Youth Resources. Bainbridge Pride’s 2nd Annual Pride celebration community potluck. Join us just off the Seattle Pride parade route for an afternoon of frolic & fun! 21 and over only. Western Washington’s metro Pride celebration scheduled to commemorate the anniversary of the Stonewall Riots on June 28, 1969. A Benefit for Kitsap Pride 20. Ages 21 and over only. Tickets: $20/general, $30/reserved, $45/VIP, which includes a meet-and-greet. Reading “A Single Man” by Chistopher Isherwoord. Rainbow Reads is an LGBTQ-focused book club which meets monthly, hosted by the Kitsap Regional Library. Check the Facebook group or the KRL website for upcoming books. The Q Center is a drop-in night for LGBTQ youth and allies ages 13-20. The Q Center rents space in a church, but is not a faith-based organization. Experience one of the largest and most diverse official fine arts district in the northwest. Thanks to Fingers Duke for bringing legendary out-country group Lavender Country to play. Show your (Kitsap) Pride by joining us in marching in the “Best Small Town Parade in America”! If you are interested in walking with us please attend our Planning Meeting on July 2nd in Bremerton or see the Facebook page above for information about where to gather on July 4th. Everyone is welcome! Hosted by Katrina Duall – 5 p.m. All ages! $10 cover/$5 youth to benefit the Q Center. KUUF welcomes all people, no matter their religion, beliefs, gender, or sexuality. Regular event held by the Meetup Group; Kitsap LGBT Friends. Everyone, whether on Meetup or not, is invited to participate! The Q Center hosts a special Pride edition of their popular Drag Queen Musical Bingo. Topic: Solidarity Through Pride—Exploring Intersectionality and Implicit Bias in our Community. The Official Party of Kitsap Pride! Enjoy dancing and drinks into the wee hours! Kitsap Pride’s 20th celebration! Join us for live music from Vicci Martinez, local drag performers, musicians and more. Visit over forty exhibitors and vendors. Plus we have several food trucks and ice cream. Family activities and more! Parents, Families, Friends, and Allies of LGBTQ people are invited to come together to discuss issues and socialize. 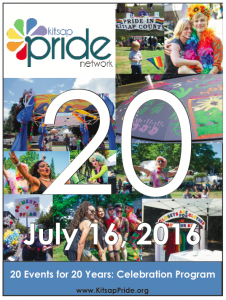 On July 16, 2016, we will celebrate 20 years of Pride in Kitsap County! This year’s international theme is “Solidarity Through Pride” and, clearly, we have a lot to celebrate! It is the goal of the Kitsap Pride Network (KPN) to make this year’s festivities bigger and better than ever. To do this, though, we need YOUR help! With planning and strategy for our 20th Pride celebration already underway, we wanted to reach out and encourage you to become involved ASAP. We need people who will voice their ideas during this all-important planning stage and then continue on to help manage and coordinate activities to turn our collective vision into reality. While we began meeting last fall, it’s not too late to get involved! We are meeting regularly. The location is usually our office or Olympic College, but we will be posting that information along with a meeting reminder a few days before on our Facebook group page. Please respond in a comment below or sign up on our Facebook page to let us know if you’ll be participating. We would encourage you to bring along any friends who might be interested in volunteering. In addition to seeking more volunteer involvement, KPN is seeking candidates to expand its Board to ensure it represents the diversity of our community. We are a 501(c)(3) non-profit organization that is dedicated to celebrating and supporting the LGBTQIA community in Kitsap County. Being a member of our Board requires a dedication to our group’s mission as well as the ability to attend meetings and actively work towards executing our goals. We also want to hear if there’s something that can be done to make it easier for you to be more active in KPN or Pride volunteer activities. The group open to any suggestions; we really want to make these opportunities as inclusive as possible. Thank you for your time and support of KPN and Pride in Kitsap County. Because of people like you, we’re celebrating our 20th anniversary. This is a momentous achievement during a very exciting time in our community’s history. Kitsap Pride is YOUR Pride…and with your help we can set the stage for another 20 years! Kitsap Pride is proud to announce the return of Kim Archer to the stage this year at 1:00pm to 2:30pm – bring chairs and/or blankets and enjoy the concert. This year we celebrate marriage equality, focus on foster parenting and rally for employment discrimination and transgender rights. Dirty Beat Duo will take the stage at 3:30 for a dance party in the park. 40 vendors plus food, chocolates and Ice cream. 12:50 Greg Wheeler, Bremerton City Council President. Kitsap Pride Network is excited to announce that we have adopted Interpride’s international theme for this year’s pride event. The 2013 theme is PRIDE 365. 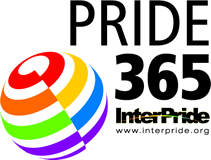 InterPride is the international organization that ties Pride together globally. 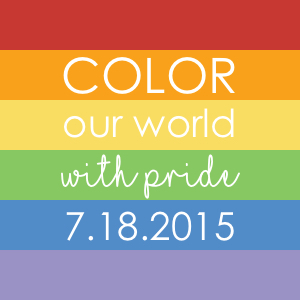 Members of the organization are dedicated volunteers who organize and work to put on Pride events all over the world. We can celebrate the advances like Marriage Equality we have made over the last 365 days and rally towards complete equality for all LGBT people. This year’s event will return to Evergreen Park on Sunday, July 21, 2013 from noon until 5pm. Volunteers are busy planning this year’s event. Join our mailing list to keep in touch or to volunteer. Planning is coming together smoothly. Vendors are registering. Sponsors are signing on to support this great event. We are finalizing our entertainment line-up. It will be a great Pride Month in Kitsap. Up first is Pride Skate at Bremerton Skateland on Tuesday, July 10th at 7pm. Our Pride PreFUNK is Sunday, July 15th at the Hi-fidelity Lounge – a fun T-dance with DJ and dancing. Katrina Duall hosts her twice a month Kocktails in Hi-Fidelity with a special Mr/Miss Heart of Kitsap Pageant on Friday, July 20th. Saturday, July 21, Red Star presents PRIDE PARTY 2012 at Stoddy’s Bar & Grill located at 3050 Northlake Way Bremerton WA. And last but certainly not least is our Pride in the Park. Join us at noon on Sunday, July 22 at Bremerton’s Evergreen Park for a full day of fun in the sun! What do you think of this year’s poster? The Kitsap Pride Network is gearing up for this year’s pride event. This year’s international theme is “Pride links us together.” This year our event returns to Evergreen Park in Bremerton on SUNDAY, July 22nd and will be kicking off at noon. We’ll be posting information on how you can be involved in Kitsap Pride 2012 including vendor registration forms in the coming days. Red Star Events, Pride Foundation, Grindr, St Paul’s Episcopal Church, MOMS Pharmacy, Naturally 4 Paws, Kitsap PFLAG, Positive Solutions, Peninsula Mobile Veterinary Clinic, Kitsap Safe Schools, Kitsap Unitarian Universalist Fellowship, Alternative Community Education Society, Rod Blackburn – Windermere Real Estate, Robert Gelder and Ameriprise Financial Services.